This is a reaaaalllly old blog but I still stand firmly behind my assertion that there is a definitive difference between a social media VA and a Strategist. There are times when one level of help is more appropriate than the other - and knowing the difference can help you make a better business decision. The longer I have my business and the more I talk to potential and current clients, the more I realize there are some huge misconceptions of social media and what it does for your business. There is a big difference between tweeting filler and/or sales content 10 times a day for a business, and planning out social media marketing as part of an overall strategy for building a business' "know, like and trust" factor. You might have landed here because you're a Virtual Assitant (VA) and you thought, "Excuse me?! I do this for clients all the time! Whatchu talkin' bout Willis?!" 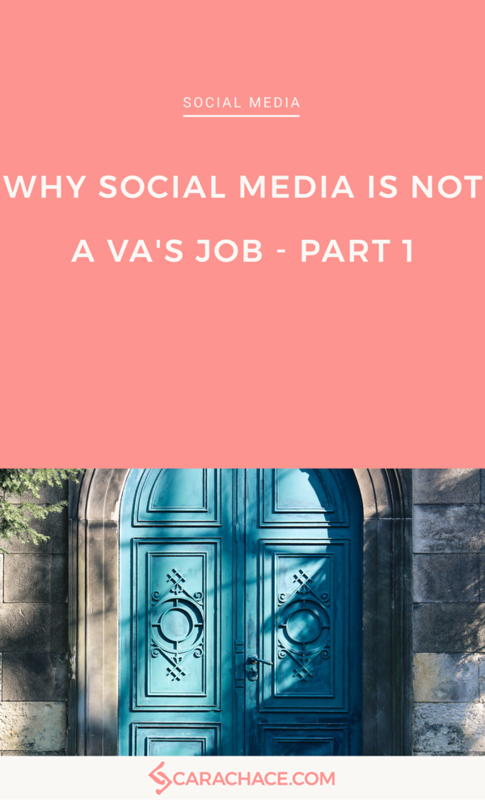 Or maybe you're a small business owner who would like to offload social media, but doesn't understand why it might not be an intern or VA job - or the difference with what you'll get for your money. I am in no way shape or form knocking the VA industry or VA skills - I am explaining that there IS a difference and why you might decide on one over the other. This is a fantastic option if you are social media savvy, understand the uses and platforms, and have no problem directing your VA quite a bit - while still providing timelines, marketing materials, graphics and images, and verbiage. On the other hand, you might be in need of an expert who can guide you through how to use social media as a complement to, and essential piece of, your marketing plan. Up to date knowledge of social media trends and forecasts. I am reeealllly really close to being able to hire a VA to help with some of my business tasks, and I totally applaud VA's for being able to provide much-needed services to small businesses and entrepreneurs. However, to be blunt (because I don't believe in blowing smoke up arses), I wouldn't hire a VA to take over and shepherd my entire social media strategy any more than I would hire an intern to take over my marketing department. You might be thinking, "But Cara, how the heck do you know the difference and how do I know you're not talking out of your arse?" "As a virtual assistant, I can't tell you how many times my clients have asked me to create a social media marketing strategy for their business. I'm a damn good virtual assistant and love a challenge but what always baffled me was the fact that my clients (and prospective clients) assumed that because I knew how to use various social networks, it meant that I must be able to create a social media marketing strategy. Social media marketing is a crucial part of your overall communication strategy for your business and shouldn't be created and managed by anyone but an expert. There seems to be this assumption that because virtual assistants know how to post your blogs to Facebook and Twitter, that your VA could also come up with a marketing strategy. Strategy is more than just creating a posting schedule. In all fairness, there are a handful of virtual assistants that could come up with a strategy but that's because they (like me) have invested thousands of dollars into my career by taking online courses on marketing and business strategy. Unfortunately, those VAs are few and far between. Your best bet for creating a successful social media strategy is to work with a social media strategist whose main focus is social media marketing." Reese Ben-Yaacov is a strategist, coach and mentor for high achieving Virtual Assistants who are ready to seriously up their game. Find out more about her programs. I expect some interesting comments - please feel free (as long as you're respectful). Jump ahead to Part 2! If you're not quite at the point of outsourcing your social media, you still need a handle on how to use social media effectively for your business. Download my free video training on how to create your content calendar - no BS - just clear and actionable steps. It’s available to you in the Free Rockstar Membership in Pinterest PowerUp.